Debt is good for government. Taking money directly from people, a.k.a. taxation, a.k.a. stealing, carries with it a lot of baggage. People resent it. 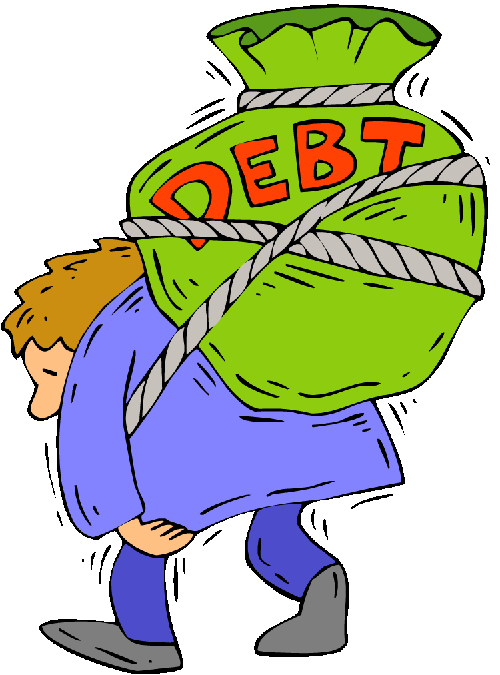 Debt is the easiest way for politicians and bureaucrats to get the money they need to ruin lives both at home and abroad. But even if you think government is a necessary evil, consider how the desire to do good things leads government to make everyone worse off. Joe Politician wakes up one morning and realizes that education is good. So good, in fact, that everyone should have lots and lots of it. To make this happen, he gets the government to make it very easy for people to get loans for education. People take on debt, purchase more education, and the price of education goes up. So people take out more loans and the price goes up. Soon it becomes normal for 22 year olds to have the equivalent of a mortgage with no house. This entry was posted in editorial and tagged anarchy, debt, entrepreneurship, Government on August 1, 2016 by rothbarddotcom.